Configuration: 3 boxes per case. 1 pack per box. 12 cards per pack. 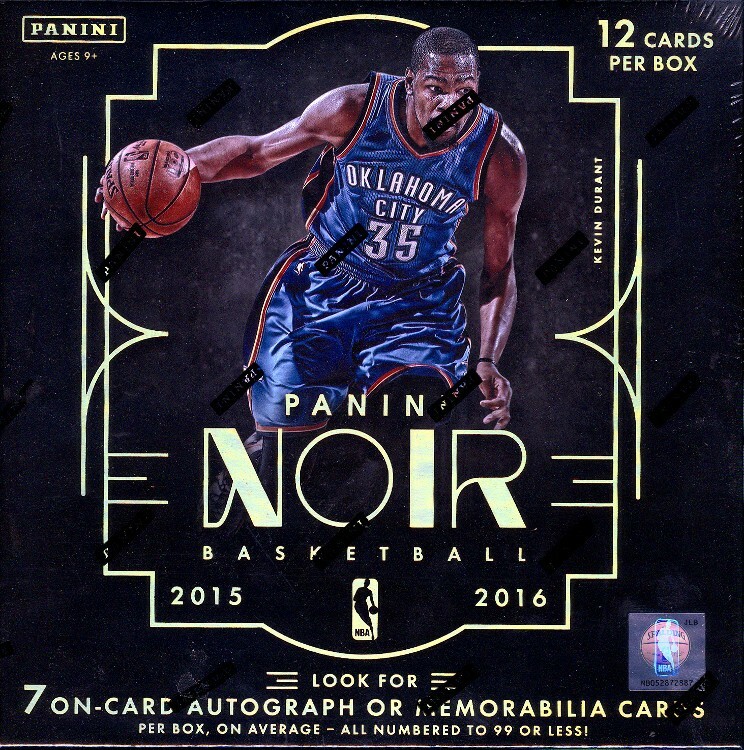 - Noir Basketball presents unique designs along with star-studded autograph checklists that showcase rookies, veterans and retired players numbered from 99 all the way down to one of one! - Noir features stunning memorabilia cards, including jumbo swatches, patches and tags! - For the first time ever, Noir features NBA Championship tags! - Collect the NBA's top rookies in two ways with both Color and Black & White photo variations. Look for one of the year's most sought-after memorabilia cards, featuring each franchises legacy with the Larry O'Brien Trophy patch showcased prominently on the back of every jersey! Noir allows collectors to decide how to collect their favorite rookies by offering two versions of each--both Color & Black and White! Look for some of the year's most uniquely designed autograph and memorabilia cards in Gala featuring swatches ranging from jerseys, to patches to tags, and limited from 99 copies all way down to one of ones!